Christmas and the winter season reminds us of the snow that will be falling from the sky. 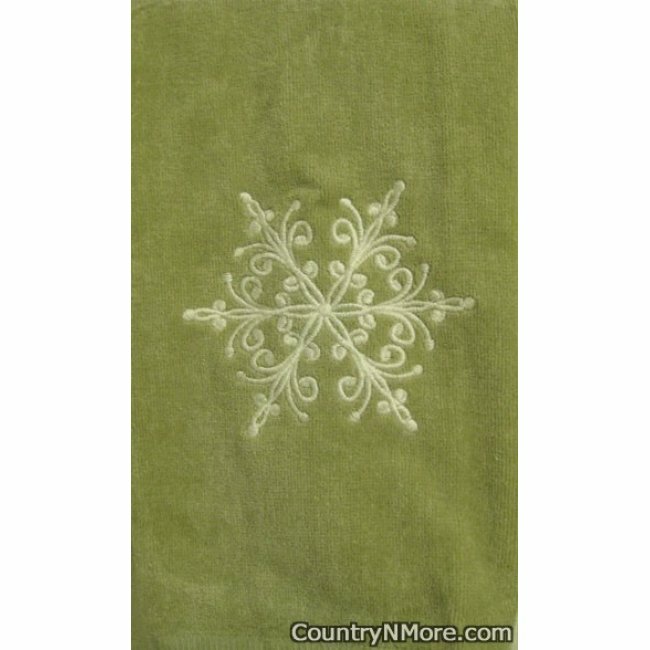 This embroidered Christmas/winter snowflake towel is perfect for hanging in the kitchen, bath, or guest bath. This gorgeous snowflake towel was done on a light green velour towel.